Jeffrey Kimball, 20, and Zackery Sawyer, 19. 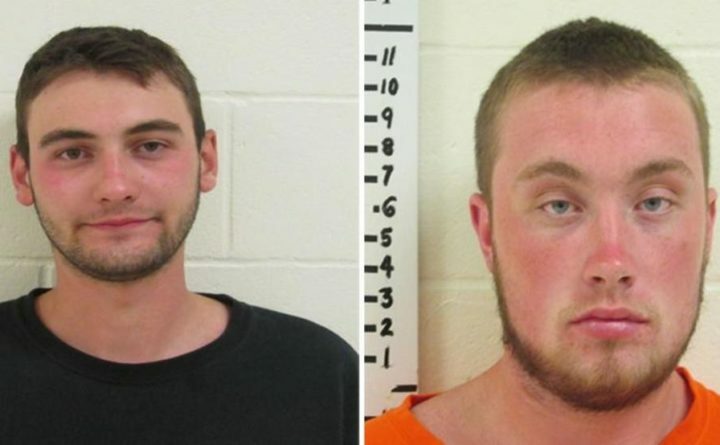 WATERBORO, Maine — Two are facing charges after York County sheriff’s deputies say they broke up an underage drinking party Saturday night. The York County Sheriff’s Office said deputies responded to a report of a loud party off Foxridge Court in Waterboro. Deputies arrested 20-year-old Jeffrey Kimball and 19-year-old Zackery Sawyer. Kimball was charged with furnishing a place for minors to consume alcohol, and Sawyer was charged with disorderly conduct. Both are also summoned for illegal alcohol possession. The sheriff’s office said they also summoned four people older under age 21 for illegal possession of alcohol.